In this fast pace of Technology & Digital World, It is not possible to make a business successful without having web presence. If you don't have the website your potential customers. As 81% of people do online search for the product or service before they buy it. 60% of business are having a website. That state having a website for your business is need not the want. Now for those who don't know much about Technology & software. Let me explain you the process of how the business websites are made. I'm sure you might feel like making a website is too complicated or too expensive to maintain. But that's a myth.Now i'll take you with the following step by step process of making a business website. checked online for its availability. For example, Kyteway Technology Services Pvt Ltd is a company. tenure to the provider. Which is very cheap nowadays. network. So Big IT companies have their own server setup which is not affordable by everyone. your website on their server based on the different package provided by the hosting companies. Dedicated server cost you more, which means you have your own server. high resolution scan for the website and online platforms. Once you are done with the domain, hosting plan, and logo. It's time to start designing your website. that, it takes 5 to 8 seconds for someone to decide whether to stay on your website or not. products or services you sell. such as contact us. About us , homepage, product & services. develop. 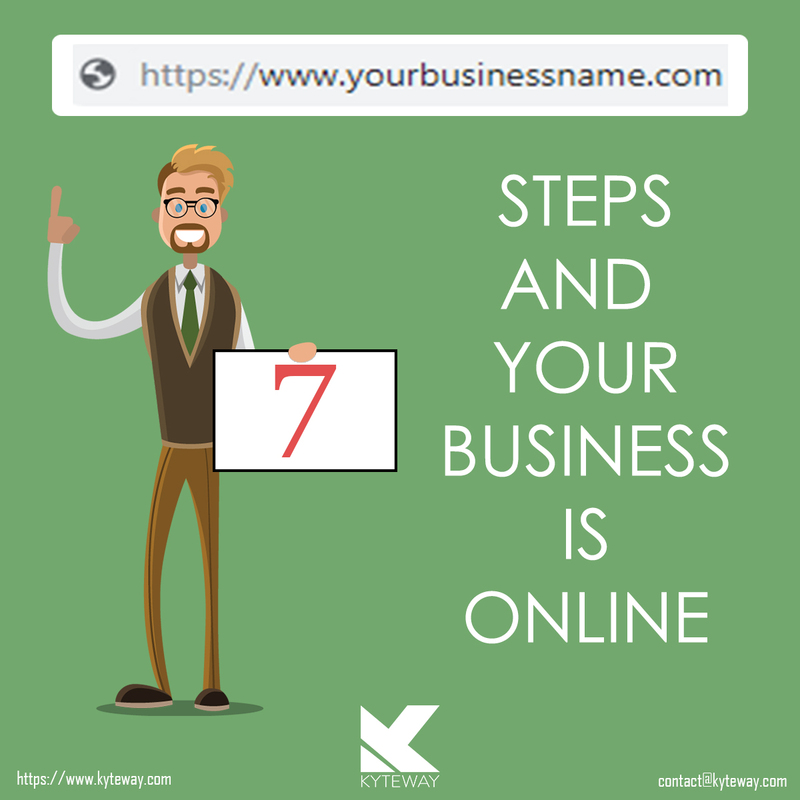 Now, all you have to do is it to move/make your website online. plugins on time if there is an update from the provider etc. Having a business model plan or looking for a web development company?